It may seem like something of a contradiction in terms but this quiet little garden is located on one of the busiest roundabouts in Porto. Despite its location you will always find a peaceful, shaded spot amongst the trees of this circular island. Towards the centre more or less all views of the roads beyond are obscured, as is much of the noise. At the heart of the Rotunda is the "Monument to the Heroes of the Peninsular War" (Monumento de Homenagem aos Heróis da Guerra Peninsular), a 45 metre tall granite column topped with a lion pinning down an eagle. 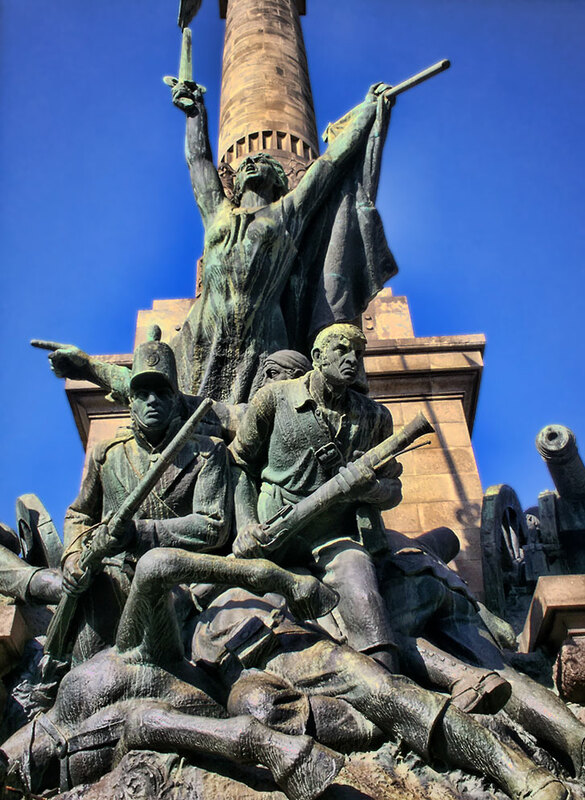 The monument represents the Portuguese and British victory against Napoleon's army during the 1808-1814 Peninsular War. The Rotunda da Boavista (or Praça de Mouzinho de Albuquerque to give it its official name) is often regarded as the centre of the city. Try a search for Porto on Google maps and this is exactly where the pin appears.